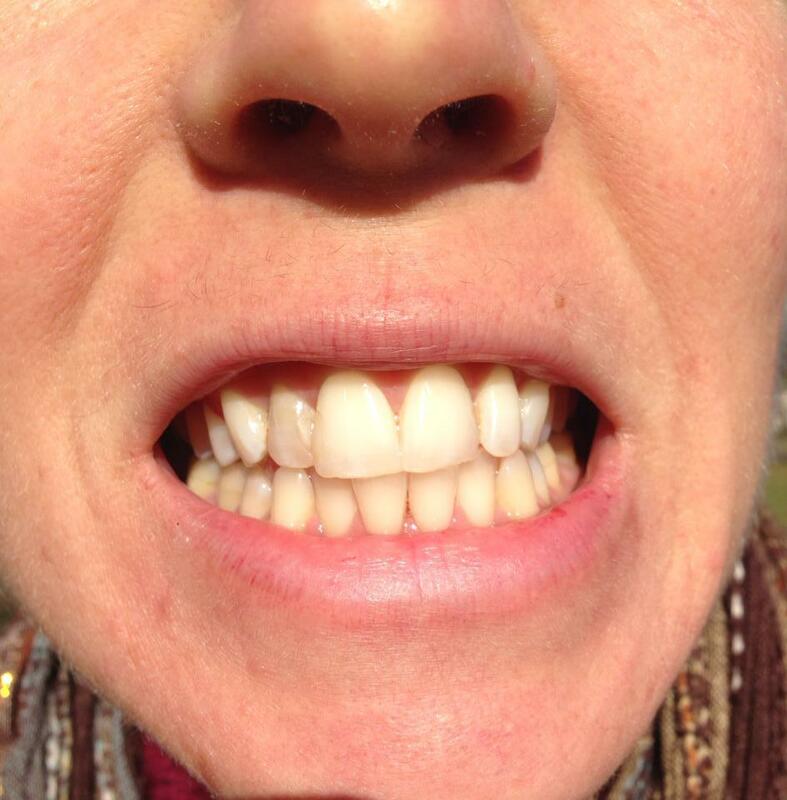 I'm using Young Living Brand essential oil of helichrysum and thieves oil to heal my dead tooth that you see here. (Stage left of my front left tooth). This tooth corresponds to the kidneys (yikes!) It's darkened pretty badly as of late...the emotion of the kidneys is fear. Which makes a TON of sense since I'm going through a massive life transition and I've had other signs of kidney distress such as lumbar pain. I think it's already working to bring this baby back from the dead!! Helichrysum essential oil heals the nerves & root of the tooth. Thieves oil kills bacteria & viruses in the mouth so it's a very healthy thing to do this time of year anyway. I made a spray with the Thieves Oil by adding water and 20 drops or so of thieves to a small recycled glass spray bottle. I simply spray this into my mouth 3-4 times per day when I think of it. It freshens my breath and keeps illness at bay. The helichrysum is mega pricey so I simple add from a half a drop to 1 drop to my finger and rub that all over the affected tooth, the gums above it and I also do a nice few deep inhalations of the oil itself. You always want to do inhalation of any therapeutic grade oil you use to let the cells know what's coming down the tube! It's the equivalent (on a cellular level) of a class full of kids needing erasers. The kids are "cells" and the erasers are the "therapeutic oils". When you ask the kids, "Who needs erasers" the ones that do raise their hands get hooked up with what they need. Cells have thousands of cell receptor docking cites per cell! All those cell receptor cites "ask for erasers" when given the opportunity. Cells are intelligent, they are their own individual living unit. Give them what they ask for and in return they will help you heal. I'll keep you posted on the progress and I'll be sure to post follow up photos as I go. Other nutrients that are helpful are fermented cod liver oil and a homeopathic cell salt called Calc Fluor. Bone broth also strengthens the teeth. These items can tend to give people sticker shock so be prepared to spend $100-200 on everything I've recommended. But you could easily spend $200 on a tooth, and likely you'd spend a lot more.